Start position: Find a nice firm flat surface and lay down on your back. In the picture above Dr. Amy is using a mat table but if you don’t have one of these you can either use your floor or your bed as your flat surface. You should feel this stretch in your lower back and even in your glutes. Make sure to not tense up through the chest, shoulders or neck. If this stretch is uncomfortable try not to apply so much pressure. Don’t over stretch. Do what feels good to your body. These at home exercises are provided to relieve your back pain in conjunction to the treatment at the Illinois Back Institute. We can heal your back pain naturally without drugs or surgery through Functional Disc Rehydration™. 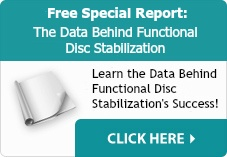 For additional information on Functional Disc Rehydration, please request a FREE Consultation at Illinois Back Institute. Our non-invasive treatment method has helped many people overcome sciatica and other back pain issues.